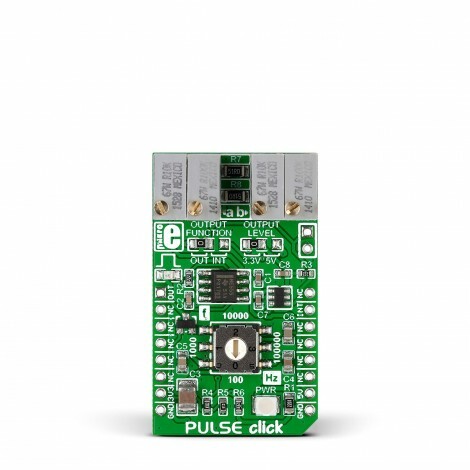 PULSE click is a pulse generator with an adjustable frequency. 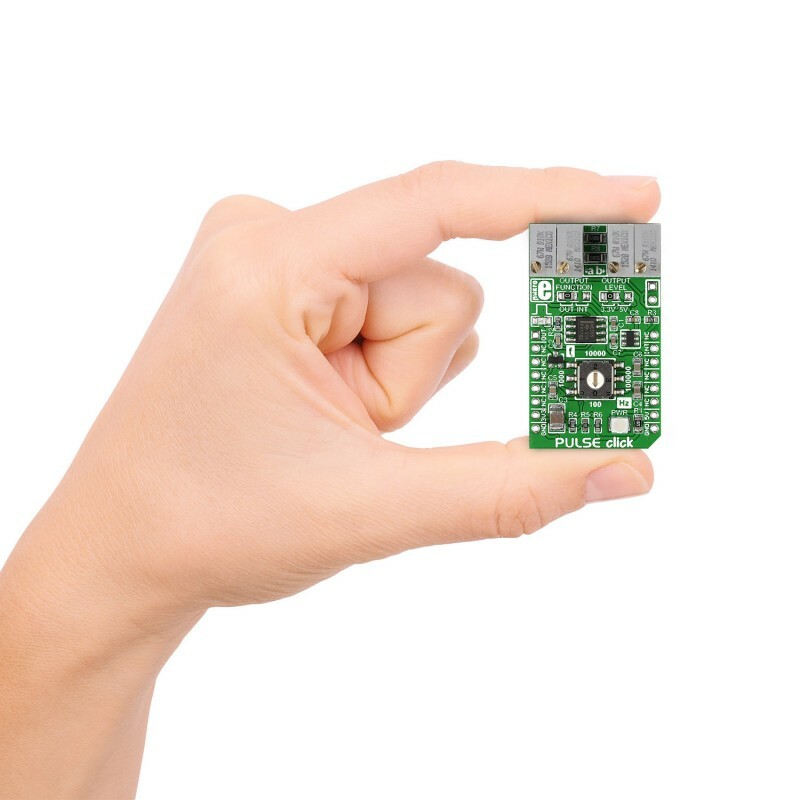 It carries the NE555 precision timer capable of producing highly accurate time delays. 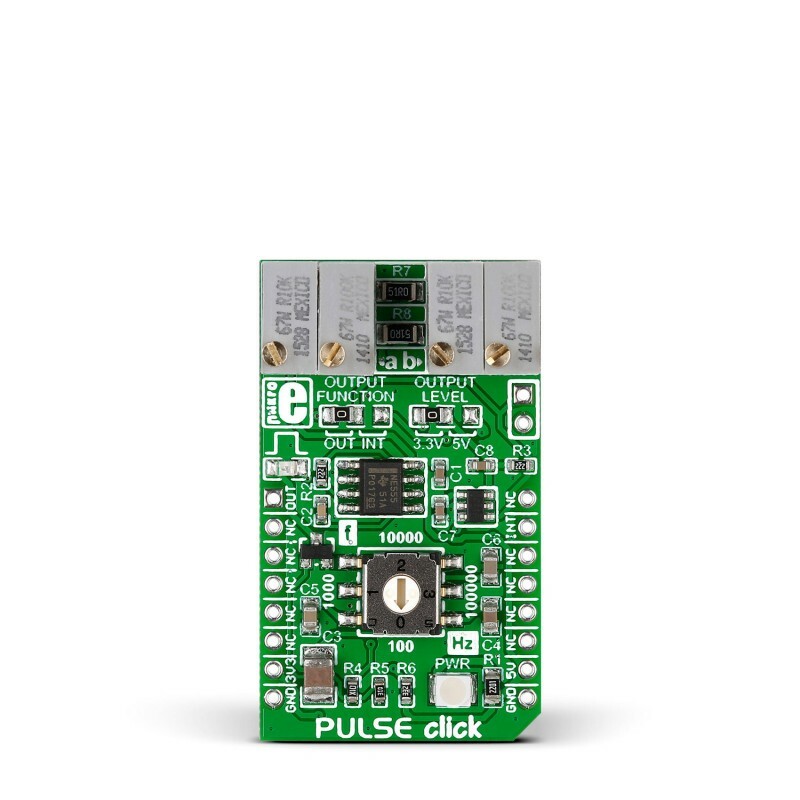 PULSE click is a pulse generator with an adjustable frequency. It carries the NE555 precision timer capable of producing highly accurate time delays. The frequency of PULSE click is configured in two steps. First select between four frequency bands by using the frequency selector - a circular central switch in the middle of the board. Starting from the six-o-clock position and moving counter-clockwise in quarters, it has 4 options: 0) Up to 100 Hz; 1) Up to 1 kHz; 2) Up to 10 kHz; and 3) Up to 100 kHz. After you select the appropriate position, use the onboard potentiometer to fine-tune the desired output frequency. 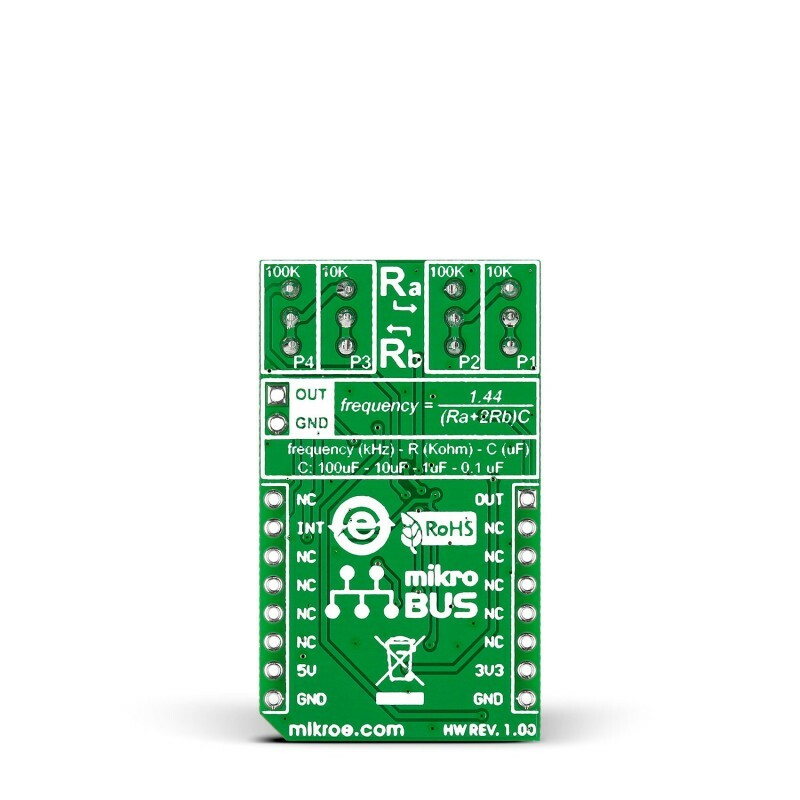 The resulting output can be configured either as a digital output (communicating with the MCU through the mikroBUS OUT pin) or an interrupt (INT pin). 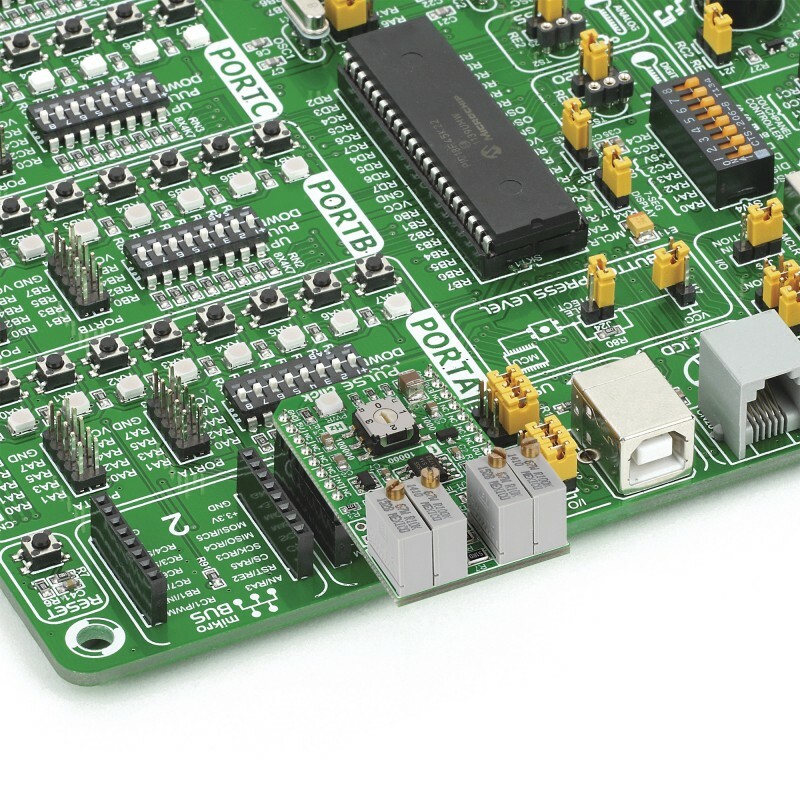 The board is designed to use either a 3.3V or a 5V power supply.